An abundance of new research and development in optical detection at a distance is increasing the ability of governments and military organizations to more efficiently identify and categorize explosives, biological agents and other threats. Worldwide, government agencies and military branches are tasked with the formidable job of identifying evolving threats to national security such as concealed explosives, improvised explosive devices (IEDs), and airborne chemical and biological materials – without putting equipment or people in harm’s way. Lasers and optical techniques are of critical importance to standoff detection technology for their ability to passively and actively probe threats near and far. 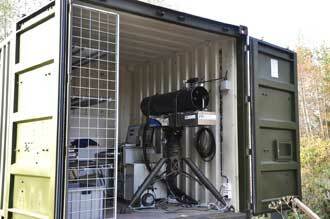 Standoff detection can take place at distances from several centimeters up to a kilometer. Some standoff methods focus on chemical identification to detect explosives, breakdown products or biological signatures; they do this either up close without making contact with the target or by probing the environment from a distance. Often, standoff detection refers to the use of imaging technology such as video, x-ray and identification software to detect suspicious packages, wire, fragmentation materials, or other signs of IEDs or threats. The biggest challenges in standoff detection are extending the distance range at which effective identification can occur, improving signal detection over atmospheric and environmental noise and interference, and screening of multiple in-motion threats. Three “active mode” standoff detection schemes for highly energetic materials (HEM) and homemade explosives (HME) in development include: (a) a quantum-cascade laser (QCL) infrared “eye safe” detection scheme for reflection and scattering, (b) a laser-induced thermal emission (LITE) detection scheme using a CO2 laser, and (c) a Raman scattering scheme using an Nd:YAG laser. The goal of phase-contrast imaging is to enhance detection and reduce the number of false alarms. It starts with a conventional x-ray source radiating through an object tens of centimeters away onto a detector 1 to 2 m from the source. The technique adds one to three silicon gratings between the source and the detector along with software processing to obtain three pieces of information: an x-ray image in absorption, a phase-contrast image and a scattering (dark field) image sensitive to nanometer- and micron-sized features such as those of powder and wood. The extra phase-contrast and scattering images are combined with the traditional x-ray image to create an image that can enhance discrimination of common explosives materials. If design concerns can be overcome, such a system may appear soon at an airport near you, helping Transportation Security Administration agents discriminate threat materials such as explosives from what is in your bag. In the early 2000s, international concern about biological warfare agents increased as a result of coordinated attacks in Tokyo using sarin gas in 1995, suspicions of an Iraqi biological warfare program, and anthrax attacks on US Congress members and media outlets in 2001. Such concerns motivated NATO partners at the Norwegian Defence Research Establishment (FFI) in Kjeller to pursue better standoff detection systems for biological agents. The lidar UV laser-induced fluorescence system demonstrated at the Norwegian Defence Research Establishment added a 294-nm laser to the more conventional 350-nm laser to improve identification of harmful bioaerosols such as anthrax. The team switched between a 294-nm 10-Hz pulsed source and the 350-nm laser, both directed through a 250-mm-diameter optical telescope toward ambient bioaerosol molecules in a 5-m-long chamber. The reflectance and backscattered signal then returned through an Andor Technologies Shamrock 163i spectrograph and a range-gated intensified CCD camera with 7-nm resolution. 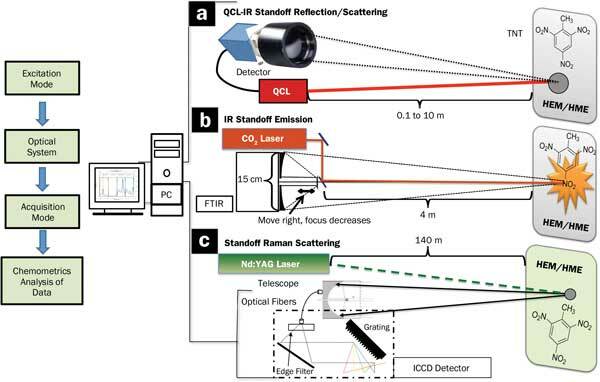 The laser setup for the lidar UVLIF bioaerosol detection system sent laser light from pulsed 355-nm and 294-nm lasers out via an optical telescope (spectral resolution 7 nm) that also collects the return fluorescence. The experiments showed that UVLIF standoff detection of bioaerosols with a 294-nm laser is actually more efficient than at 355 nm with comparable pulse energies. Anthrax fluoresced at almost an order of magnitude stronger, and the toxin stimulant OA registered at twice the intensity at the shorter wavelength. With a higher intensity, standoff distance can be increased while reducing the incidence of false alarms. “Our prime research goal is to increase the ability to discriminate one pathogen from another and from the background,” Farsund said. “In addition to the use of two excitation wavelengths, we also developed enhanced algorithms to optimize classification of bioaerosols.” With a few adaptations and optimizations, Farsund added, the lidar UVLIF technique may be applicable in surveillance of military camps and surroundings, as well as in an urban environment, such as underground stations and sports arenas. Sum frequency mixing of a 1.7-µm optical parametric oscillator signal with the third harmonic of the 355-nm laser generated a 294-nm beam. A flip mirror and beam dump were used to switch between excitation wavelengths. Four combinations of glass filters and gratings determined the spectral responses of the system to fine-tune detection of seven different bioaserosol agents. Samuel P. Hernández-Rivera, a chemistry professor at the University of Puerto Rico in Mayagüez, and colleagues are developing several advanced techniques for standoff detection of explosives, including laser-induced thermal emission, Raman and quantum cascade laser (QCL)-based detection.3 One caveat for Raman and CO2 standoff detection is that they use powerful, highly focused lasers and, as such, are not eye-safe. In one FTIR experiment, the team demonstrated that samples of highly energetic materials deposited on aluminum substrates could be easily discriminated if the aluminum was heated outdoors by sunlight. This passive standoff detection system coupled a reflecting telescope to an FTIR spectrometer equipped with a cryo-cooled mercury cadmium telluride detector. Baking in the sun is a useful tool for enhancing the vibrational signature of TNT in passive mode. 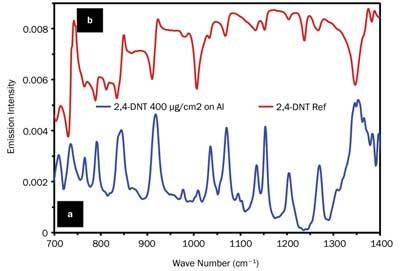 (a) The sunlight-excited emission spectrum of 2,4-TNT deposited on an aluminum substrate (400 µg/cm2) measured 20 m from detector (Bruker Optics, EM27); (b) Reference (reflectance) spectrum of 2,4-TNT measured on a bench FTIR interferometer (Bruker Optics, IFS 66/v-S). “The further addition of enhanced multivariate (chemometrics) regression algorithms better allows us to look for the needle in the haystack, discriminating against interferences,” Hernández said. Systems are under development in collaboration with Eos Photonics in Cambridge, Mass., and other industrial partners. Most well-established standoff trace-chemical sensing is based on the use of lasers to remotely acquire the vibrational spectra of target molecules. 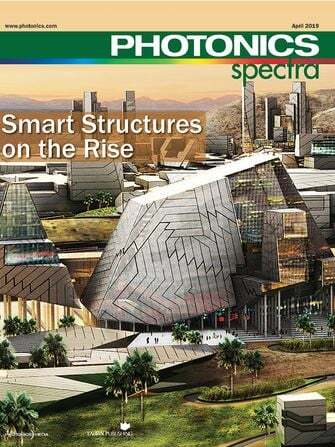 Unfortunately, vibrational spectra get more complex as molecular size increases and, thus, poorly resolved, making detection of large organic molecules such as those of explosives and chemical warfare agents challenging. a) Trace chemical sensing using Rydberg spectroscopy/microwave scattering involves UV laser pulses at a fixed wavelength overlapped with tunable VIS/IR laser pulses and focused on a target. The UV pulse photoexcites molecules into the 3-s Rydberg state, while the VIS/IR pulse probes transitions between the 3-s Rydberg state and higher-lying Rydberg states. The ionized molecules produce a plasma probed via microwaves. (b) A Rydberg spectrum of 1,4-diazobicyclooctane is acquired via microwave scattering from a laser-induced plasma. Scientists at Oak Ridge National Laboratory (ORNL) in Tennessee are developing an alternative approach for standoff trace chemical sensing that uses transitions between molecular Rydberg states. Molecular Rydberg states are excited electronic states with wave functions resembling those of a hydrogen atom. Peter Weber, professor of chemistry at Brown University in Providence, R.I., demonstrated that transitions between molecular Rydberg states reveal highly resolved spectra that are sensitive to the molecular structure. Complexity of Rydberg spectra does not scale with molecular size, making the technique well suited for detection of large organic molecules such as those of explosives and chemical warfare agents. But recovery of Rydberg spectra requires photoionization, which typically is detected via mass spectrometry or photoelectron spectroscopy. Both techniques require high vacuum, unsuitable for standoff detection. As a solution, Fedor Rudakov, a research staff scientist at ORNL, in collaboration with Zhili Zhang at the University of Tennessee, Knoxville, has suggested acquiring Rydberg spectra via microwave scattering from the plasma produced by photoionization. Rydberg spectroscopy and microwave scattering are a perfect match, combining the high selectivity and applicability to large molecules with a capability for standoff detection. The technique uses radiation in the UV/VIS range, for which high-power laser sources are readily available.5 Although the method is still in early-stage R&D, Rudakov expects the technique will be scalable to chemical sensing over tens of meters. 1. E. Miller et al (2013). Phase contrast x-ray imaging signatures for security applications. Nuc Sci, IEEE Transactions on Nuclear Science, p. 60. 2. Ø. Farsund et al (2012). Standoff detection of biological agents using laser induced fluorescence – a comparison of 294 nm and 355 nm excitation wavelengths. Biomed Opt Expr, Vol. 3, p. 2964. 3. J.R. Castro-Suarez et al (April 1, 2011). Fourier Transforms: New Analytical Approaches and FTIR Strategies. G.S. Nikolic, ed. InTech Open Publishing, pp. 431-458. 4. J.R. Castro-Suarez et al (2013). FT-IR standoff detection of thermally excited emissions of trinitrotoluene (TNT) deposited on aluminum substrates. Appl Spec, Vol. 67, p. 181. 5. F. Rudakov and Z. Zhang (2012). 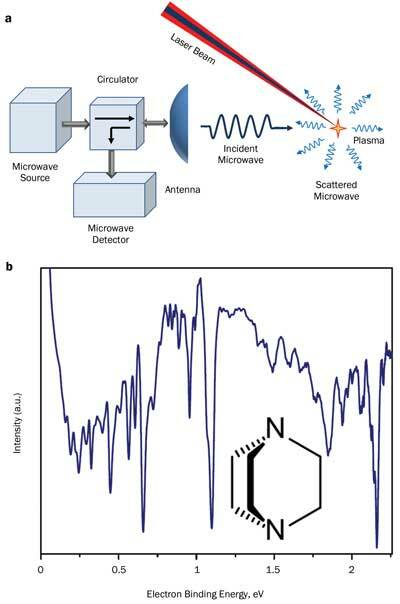 Standoff detection of large organic molecules using Rydberg fingerprint spectroscopy and microwave Rayleigh scattering. Opt Lett 3, Vol. 37, Issue 2, p. 145.